East Hampton is a village located on the South Fork of Long Island in the Town of East Hampton in Suffolk County, New York. East Hampton was founded in 1658 by English farmers, and remained almost entirely agrarian until the last 19th century when it became a favored beach resort for vacationing New Yorkers. During the mid-20th century, East Hampton became a thriving artists colony popularized by abstract expressionists. The beaches in East Hampton are highly regarded for their white sand. Parking is severely restricted during the popular tourist season, from May 1st to September 30th. Many famous people own vacation homes in East Hampton, including Steven Speilberg and Renee Zellweger. 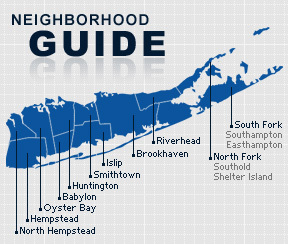 According to the 2010 census, East Hampton has a population of 15,398, but this fluctuates seasonally. The median household income is listed as $71,744.